Villa Zin is one of the finest houses for rent in Marrakech. The villa can be reserved exclusively for holidays, high-end weddings and private events. On site you can enjoy the many services offered by the hotel : SPA, Steam Room, Pool Heated, Food Card, car rental with or without a driver and porter service. Villa Zin immerses you in a world of magic with luxury hotel service. 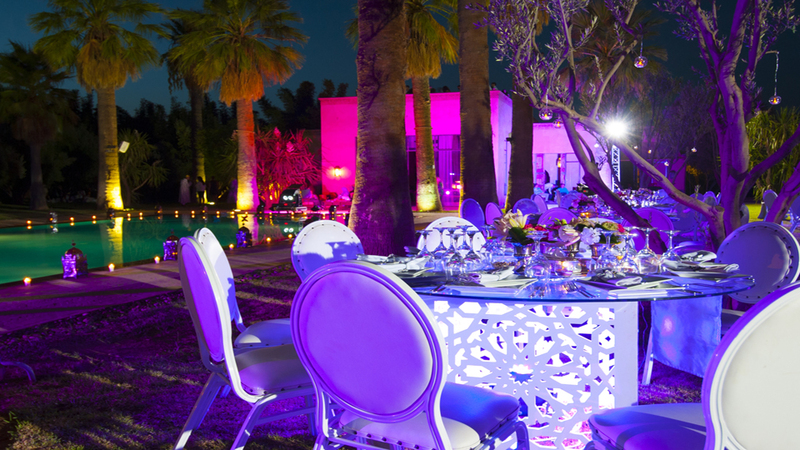 The interior reception areas, the beautiful park and the pool house are an ideal framework for the organization of an unforgettable wedding reception or other events in Marrakech. From 3 bedroom villa is privatized only for you non-rented rooms are not occupied.